Since the dawn of time (or thereabouts), setting up a new Android device has been a real pain. Most users have their devices set up exactly how they want them, from installed apps to homescreens and everything in between. So when it's time to fire up that shiny new device and start using it (or after performing a factory reset), the next 4-6 hours of life are taken up by the tedious process that is getting everything back together. 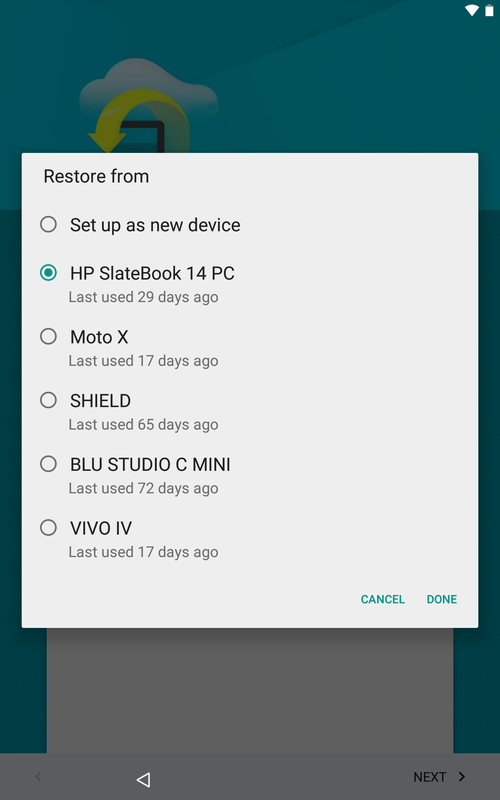 To make matters worse, Android's stock "restore" option has always been basically garbage – it installs everything on your Google account. Why on earth do I need that one app I installed like four years ago for five minutes? I'll tell you why: I don't. That's why. I've dreamed of a day when Google would let me select app bundles to install. 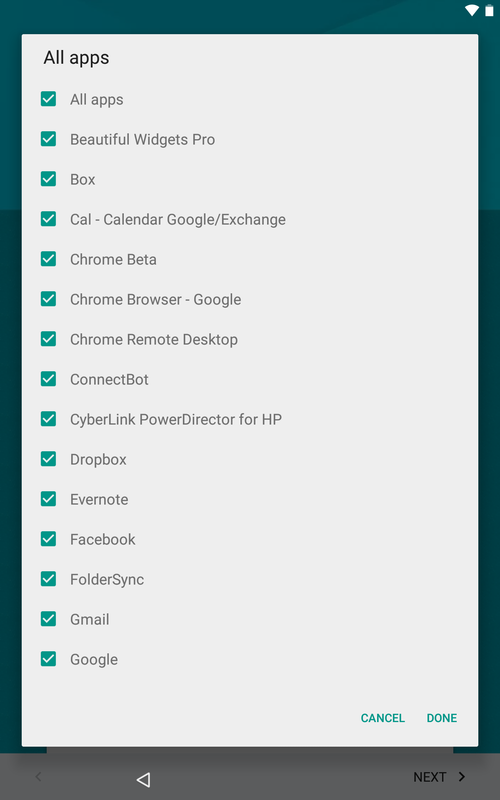 Stuff I use and want, and leave the crap I no longer use where it belongs: not on my device. That future is kinda, sorta, almost here, because with Lollipop you can actually select a specific device to use as a sort of guideline, and there's even an option to select which apps from that device get installed. It's so nice I could weep. 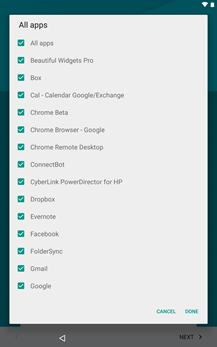 Copy Google accounts and app data from an existing Android device using Android Beam and Bluetooth. 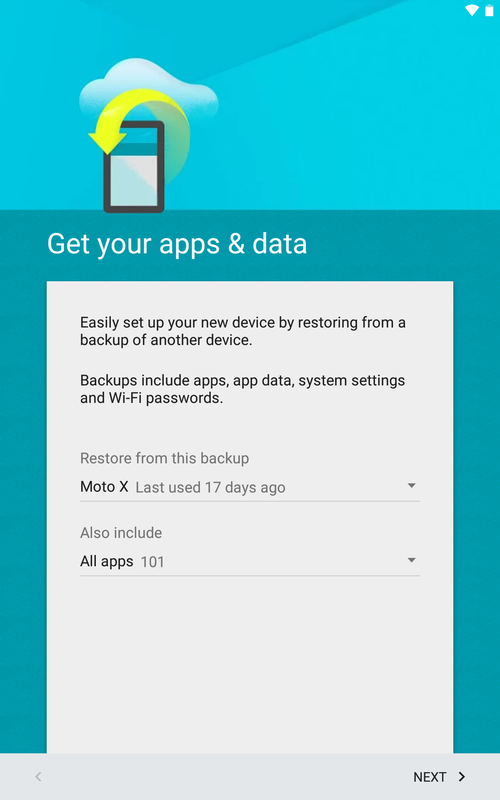 Restore from a specific device on your account, and then select individual apps from that device. 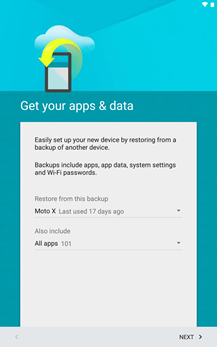 I was able to restore my primary Google account onto my Nexus 7 with Lollipop simply by touching my Nexus 5 to it. The best part is that it configured everything automatically, I just had to put in my password – I didn't even have to put in a separate code for two-factor authentication. Quick, easy, and painless. I feel so happy I could burst. For those who don't have a device with NFC (those still exist, you know), the second option is a gem. 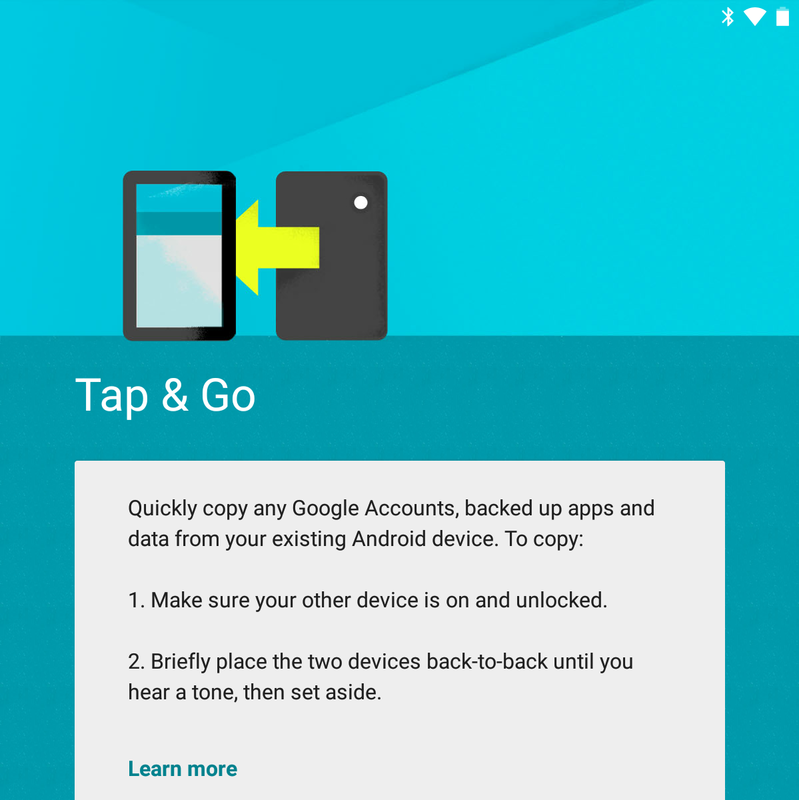 You can select from the devices that are backed up with your Google account and restore from there. 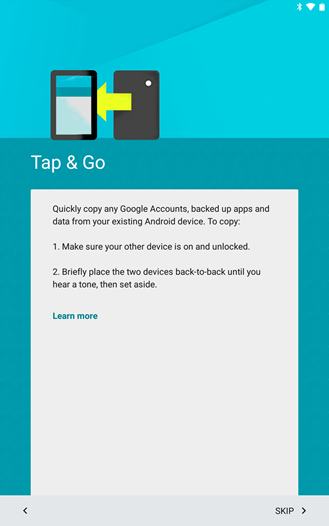 What's even better is that you can also select individual apps from that device, so if you're backing up from your phone to a new tablet and don't want to install something in particular, just deselect it. It will also sync app data (where it can – this feature has to be enabled by the developer). Bam. One thing's for sure: this has been a long time coming, and it's certainly going to make it much easier on everyone who picks up a new Nexus 6 or Nexus 9. Or maybe that's two things that are for sure. I can't really tell.